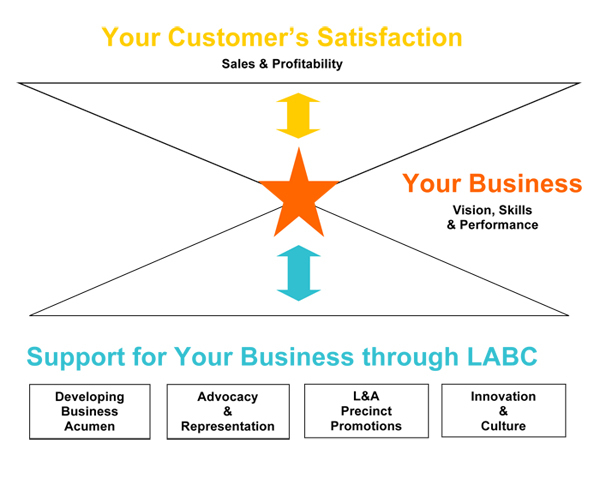 LABC is a membership-based community of business leaders working together for the mutual benefit of its members within a context of the local business community and local economy. The members define and shape the Chamber’s direction and focus through collaboration and collectively serving the interests of local business. The greatest benefit of membership is achieved through full participation in the opportunities the Chamber creates. LABC is an independent organisation funded through membership, fundraising, revenue generating business projects and project sponsorship.